If someone has borrowed money from you and is not returning it even after repeated attempts then this remedy can help you. 1) This remedy needs to be done on the midnight of eighth Lunar Tithi of bright half (Shukla Paksha Ashtami). This can be repeated every month on the eighth Lunar Tithi of bright half till the time you get your money back. 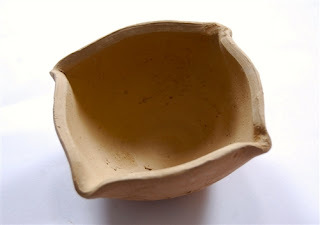 2) You will need these things for doing the remedy: raw cotton; which is also used as wick in diyas, four faced earthen lamp (chaumukhi diya); it has four opposite faces, mustard or sesame oil, Jaggery and a bread (roti). 3) Make four wicks out of cotton and keep them in a temple for couple of hours so that the wicks absorb positive energy from the temple environment. If you are not Hindu then you can keep them in your religious place. 4) Go to a crossroads around midnight and keep the diya in the middle of the crossroads. Fill the diya with oil and keep the wicks on all the four faces of the earthen pot and light all the wicks. 5) With the help of a clean and sterilized sharp pin, prick the ring finger of your right hand and allow few drops of your blood to fall in the earthen pot in the oil. At this time, think of the person from whom you have to recover your money and take his name at least 3 times. 6) After this go back straight to your home. Please remember that you do not have to look back when you are returning. 7) After coming back home, wash your feet, hands and then rinse your mouth with water. 8) Keep some jaggery on a roti and keep it aside and then offer it to a cow next morning. If this is done regularly, it will not only ensure that you get your money back but also brings growth and prosperity in your business. since 2015 i have been reading your posts and i admired your work as well. This remedy doesn't harm anyone so I don't see any harm in posting this remedy. As long as someone gets benefited and no one gets harmed I'm fine. I would never post anything which harms anyone. Anyone sees lamp in middle f road yhey will pelt stones or create a scene.in bangalore 3^4of them move around in d night.